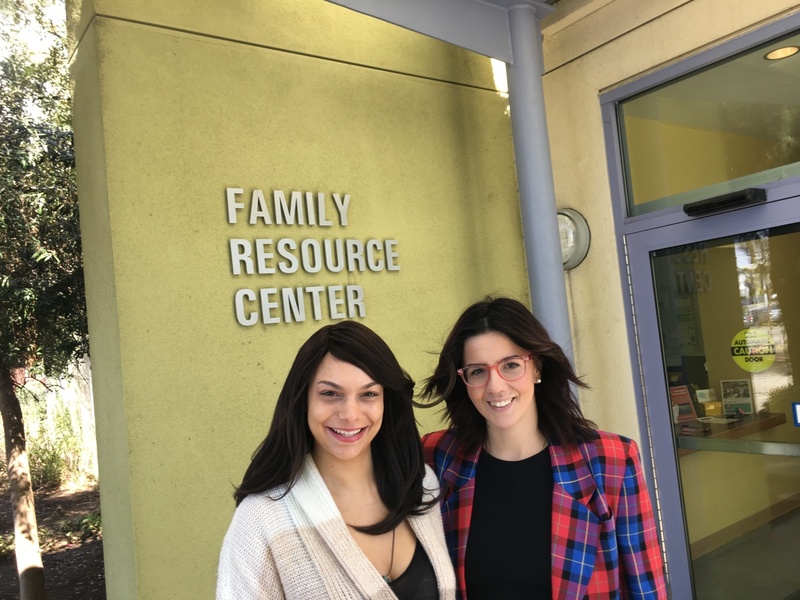 For nearly 20 years the Family Resource Center has helped support Valley College students who are also parents — and not just with classwork. The center provides assistance with things like child care, diapers, baby clothes, as well as academic advice and mental health counseling. The center is the only one of its kind in the 114-campus California community college system. It helps about 1,000 students per year and its roughly $500,000 annual budget is primarily grant-funded. Its ten full and part-time staff provide a wide range of support services for students and lawmakers are looking at it as a model for expanding help to more schools. 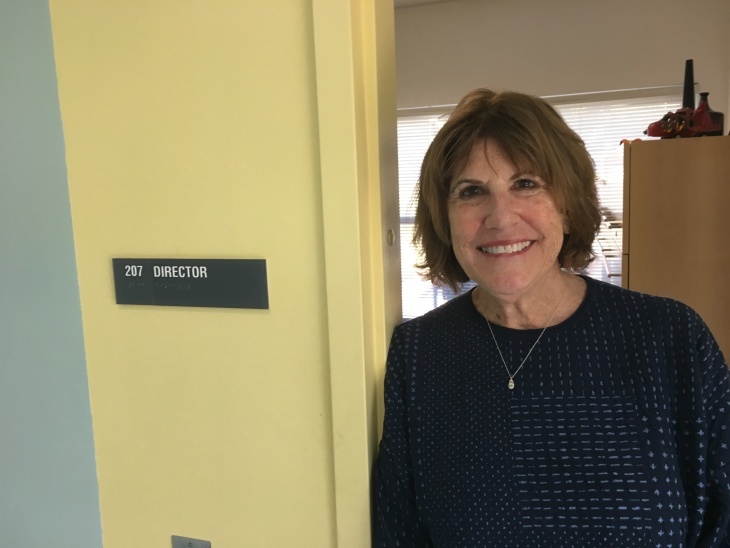 "Thirty percent of community college students have young children in the home and their needs go well beyond child care," said Marni Roosevelt, the center's founder. "Our goal is to help them keep their families strong so that they can accomplish their goals both academically and career-wise." Amber Angel knows how tough it can be. She was pregnant and already a mom to a young daughter when she was taking classes at Los Angeles Valley College. "I needed a computer, I needed printing, I needed to know other parents. I needed to get an education plan," she said. "I wasn't able to do that with my daughter." When she first became pregnant with her second child, she told herself she could balance that too. "My water broke in my 8 a.m. math class," she said. In hindsight, said Angel, she was lucky. Because instead of dropping her college classes to take care of her kids, she found the resource center. She was able to use the center's computer, get academic counseling and find the help she was looking for. She eventually transferred to Cal State Northridge and is currently on-track to earn her bachelor's degree in family studies this spring. And, Angel now works part-time on her old campus as a program coordinator working with other parents trying to stay in school. As Sacramento pushes California's public colleges to improve graduation rates, policymakers have identified vulnerable populations that struggle to stay in school and earn their degrees. One of those populations is the hundreds of thousands of California college students who are also parents. 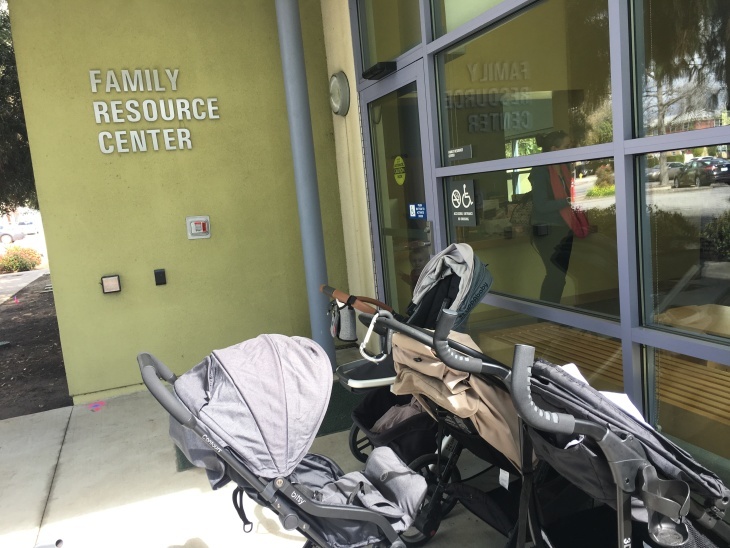 Lawmakers are looking at how the LAVC's Family Resource Center works, in order to replicate their services at other campuses. "This is a population that's fallen off our radar," said San Fernando Valley Assemblyman Adrin Nazarian. "We haven't given it the support it needs." Last year, Nazarian secured $800,000 in one-time state funding to extend the center's reach and study how it helps college students who have children. He'd also like to know how helping those parents, in turn helps their children, "because they're finding themselves on a college campus," he said. The center has also attracted the attention of national experts on college student hunger and homelessness. "Research has shown for decades that one of the best ways to keep students in college is to help them feel like they matter to the institution," said Temple University researcher Sara Goldrick-Rab. The center, she said, is connecting students who have children, to campus life and academics in big and small ways. A small connection became a large one for 28-year-old Eden Bryant. She first enrolled at L.A. Valley College after leaving an abusive relationship. She had a two-year old son and said she felt like she needed to improve both herself and her job skills. "I worked with kids for quite some time, but I needed the credentials to get a better job for myself," she said. "That required me to go back to school and get a degree." But Bryant says she had a hard time feeling connected to the L.A.V.C. campus. She felt like she was the only student balancing motherhood with academics. When she stepped into the Family Resource Center, she found out she wasn't alone. She met Angel and the two women bonded over stories of growing up in working-class families and being single moms. "When Eden gets her associate [degree] and transfers to get her bachelor's, and then continues onto her Ph.D., we will support her through that journey," Angel said. Bryant says Angel has helped her to see a clearer picture of herself, as both a mom and a college graduate. "I would love to follow in her footsteps," Bryant said. 11:30 a.m.: The top of this article was recast.